Each industry has it's own challenges, requirements, and specialities. So has the Automation and Robotics industry, therefore it is important to undestand the specific needs to find the right solutions. This is where NetTimeLogic comes in. We have several years of experience in this industry and can help you to developa best in class product with our cores and services. Nowadays Automation and Robotics systems consist of many independent devices interacting with each other. In the old days these devices where mechanically connected with each other (e.g. via a belt) which guaranteed synchronization and triggering of events. A mechanical connection however has several drawbacks: first it is fixed in its configuration (e.g. can only do one specific task), second it is error prone, third it doesn’t scale, fourth it is quite limited in accuracy, fifth data exchange (if there was any) took a different path, etc. Today the devices are connected via Fieldbuses (mostly Ethernet) which guarantee synchronization between devices, allow to timely trigger events or correlate sensor data based on timestamps. 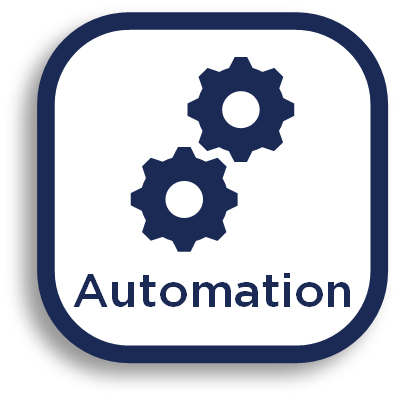 In a modern Automation or Robotics system, control and sensor data share the same medium as the synchronization, e.g. via PTP. Often the devices are interconnected in a daisy chain or ring topology since these topologies don’t require additional network equipment. What is also quite common, is a mixture between ring or daisy chain topologies with a star topology, e.g. each bay is a daisy chain or ring and multiple bays are interconnected as a star. There are many Ethernet based Fieldbuses e.g. Ethercat®, Profinet®, Ethernet IP®, Ethernet Powerlink® to just name some of them. Most of the use PTP (IEEE 1588) as their synchronization protocol. But synchronization is only one thing these Fieldbuses are in charge, another important thing is deterministic and low latency data exchange between the devices. 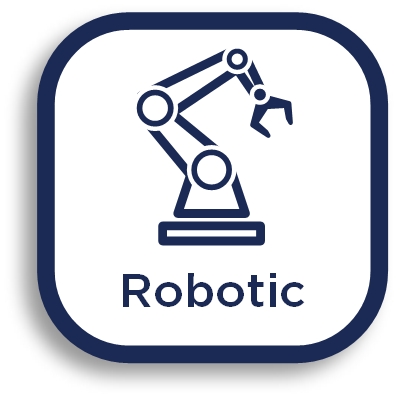 Since an Automation Robotics system is normally a sensor actor network, so it is important that each device is receiving data at the right moment and often in a periodic manner. This is normally done by dividing the time into cycles and periodic data exchange with different priorities. Depending on the requirement, cycle times are chosen, and the maximum delay between two devices is determined. Moreover, an Automation or Robotics system is also required to be highly available, therefore many of the fieldbuses define a network redundancy scheme. Each Fieldbus mentioned in the previous section is mostly driven by one company: Ethercat® => Beckhoff®, Profinet® => Siemens®, Ethernet IP® => Rockwell®, Ethernet Powerlink® => B&R®. Unfortunately, these protocols are incompatible to each other and a gateway is required which does protocol translation whenever two different Fieldbuses shall be connected to each other. To overcome this issue the IEEE 802.1 standardization group came up with a set of standards which define the so-called Time Sensitive Networking (TSN) solution, which standardizes the lower levels of a fieldbus. TSN also uses IEEE 1588 or IEEE 802.1 AS as the synchronization protocol, allows scheduled (periodic) traffic according to IEEE 802.1 Qbv, deterministic forwarding according to IEEE 802.1 Qav, per stream filtering and supports several different redundancy protocols like HSR&PRP (IEC 62439) or IEEE 802.1 CB. Several Fieldbus standardization groups promised to support TSN as their low-level infrastructure in the future, so it will get easier to interconnect different Fieldbuses, at least on the lower levels. And there is also OPC UA which in combination with TSN represents a full solution for the Automation and Robotics industry (also for Automotive). TSN Network Node IP core: TSN solution for three port devices, combining a network and end node for daisy chain, ring networks and redundant networks.